MBARARA – Seven district and municipal officials from Mbarara were Friday, February 22, arrested by the State House Anti-Corruption Unit over corruption and land grabbing. 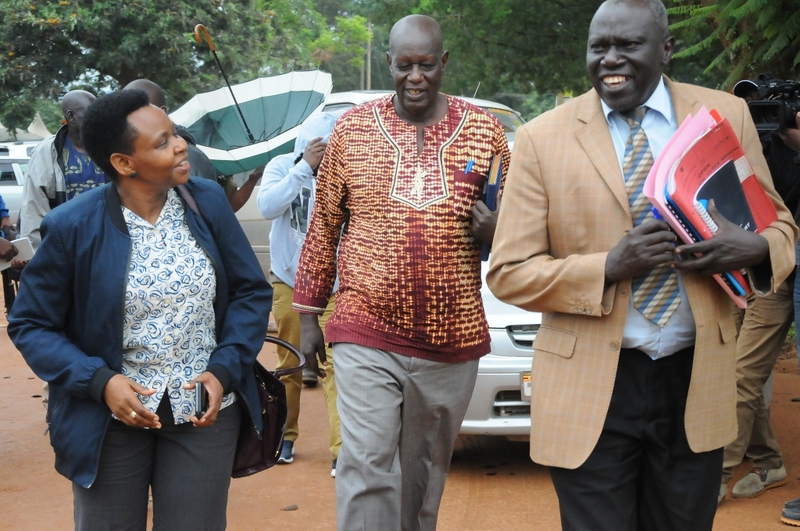 The operation was led by Lt. Col. Edith Nakalema. Those arrested include the CAO Felix Esoku Cuthbert, Godliver Nayebare, a senior land management officer for Mbarara, Aggrey Atukwasa, the deputy municipal engineer, Cyril Tuhame, the district planner, Johnson Tusimireyo, the project manager Satellite City Project, and Emma Himbisa, the staff surveyor. Area Member of Parliament Charles Ngabirano was asked to report to the unit on Tuesday, February 26. Nakalema and her team came to Mbarara after numerous whistleblowers tipped the Unit about the alleged high level of corruption involving top politicians who connive with technocrats to take government land and embezzle funds. Nakalema arrested them at a Kamukuzi meeting in which she had called all heads of departments from Mbarara Municipality and district. In a call to the meeting, all responsible officers had been instructed to come along with relevant documents which included minutes of the both councils for two financial years, minutes of physical planning committees, plan for Mbarara Satellite City, all approvals from Uganda Land Commission (ULC), all inspection reports, adverts for the disposal of al government properties, inventory of all district and municipal lands, and proof of payments to land allocations. Before the meeting started, a number of allegations were raised to the Unit including allocation of district houses and plots among districts officials; plans to grab ministry of Works park yard, the sale of Kakyeka Stadium, and embezzlement of UGX360m meant for Koranorya Road and sale of State Lodge land in Kamukuzi. There was also a house involving the former RDC Martha Asimwe. In 2015 Mbarara District Council passed a resolution to develop Kamukuzi Hill into a Satellite City that was aiming at building modern hotels, shopping malls, stadium, modern apartments at an estimated cost of UGX100 billion. However, the Unit found out that some district officials hatched plans and allocated themselves 38 plots under the disguise of constructing Satellite City. “You see this is a good plan and we are not refuting it but the problem you fronted a good plan beneath it there are bad motives to actually grab these plots under the pretext of constructing the Satellite City…” Nakalema stated. 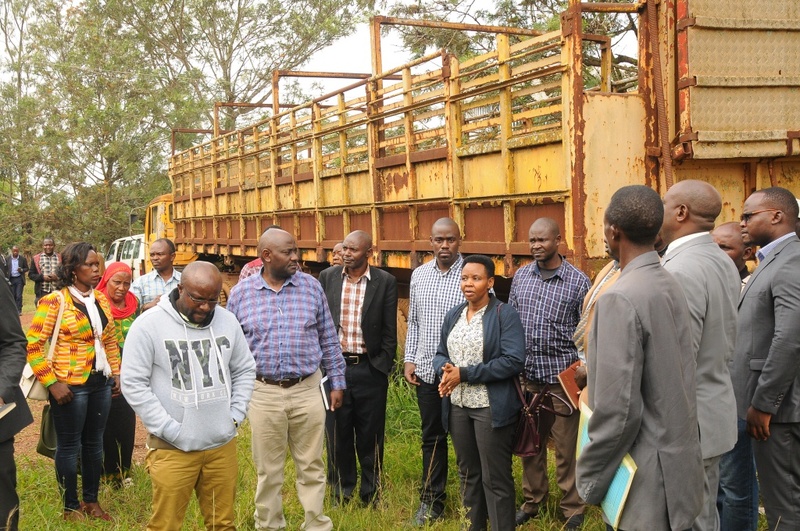 She also tasked MP Ngabirano to explain how he bought veterinary land on Plot 5 Galt Road that was formerly owned by then district speaker Grace Muhairwe who had gotten a lease of 5 years from ULC. They found out that Ngabirano used his political influence to take the land without the consent of the district which is the sitting tenant. What made matters to turn sour was when Nakalema tasked the technocrats in the meeting to explain who fenced the State Lodge land just adjacent to the district offices. No one could reveal the name despite them claiming it was an official from State House. When Nakalema insisted she wanted to know who was behind the fencing, Emma Himbisa, the staff surveyor hesitated to reveal the name and said he couldn’t remember. “We are not here to waste time. I want to know that individual from State House,” she said before handing them over to the detectives. 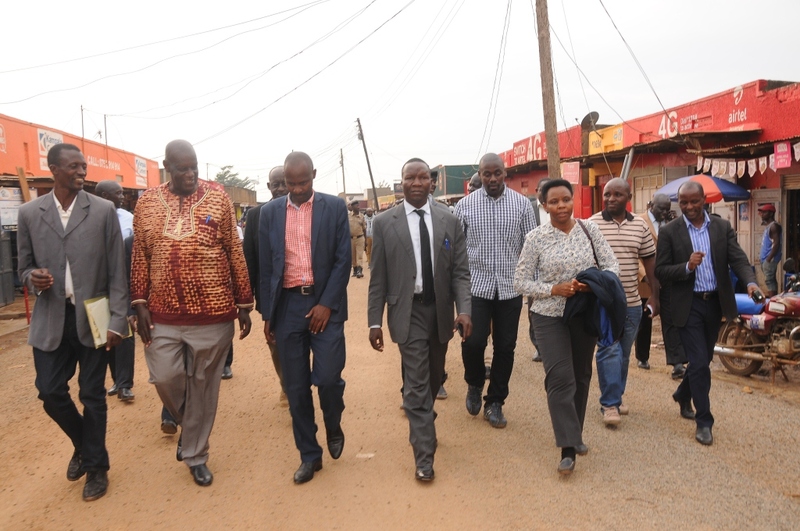 They later visited the plots in question in the guidance of RDC Mwesigye. Speaking to the journalists, Nakalema called upon the public to report all corruption cases to the Unit. “We are here because we got information that a lot was not going on well in Mbarara. We are here to investigate all the cases to the last conclusion,” she said. Don Wanyama, the senior presidential press secretary, said the arrested officers will help the Unit with vital information regarding the corruption allegations and grabbing of government land in the district.